She enjoyed traveling with her two children, Phoebe and Leo and saw it as a real adventure! Teaching for five weeks and co-living with another family was an experience for Kristina she will never forget. 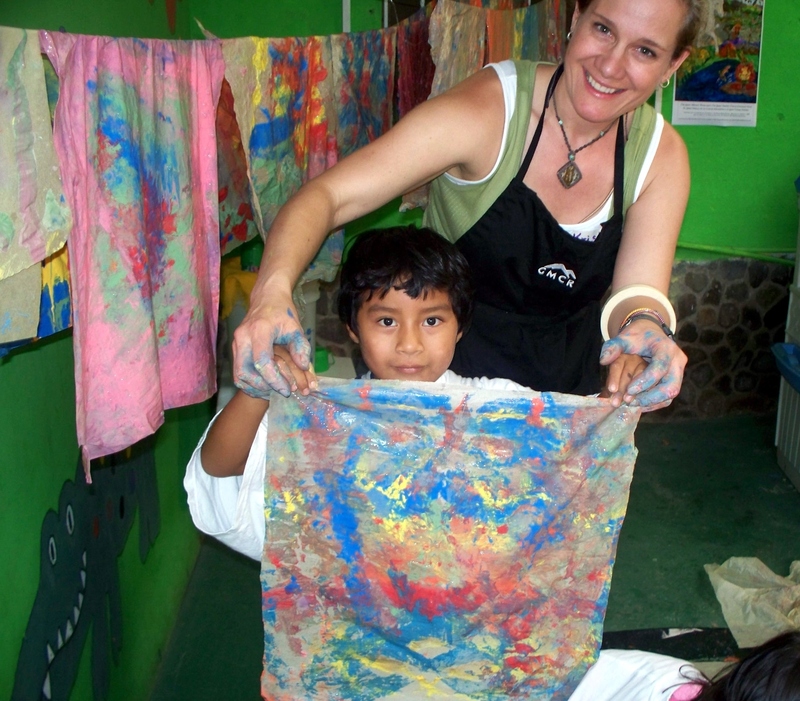 Sharing cultures and seeing friends from her first trip to Guatemala as well as making new ones, gave Kristina even more appreciation for the passion she holds for Kids Share Workshops. After teaching and living in Panajachel for five weeks, she was able to appreciate the Mayan culture and it’s children more and her dedication to learning Spanish. 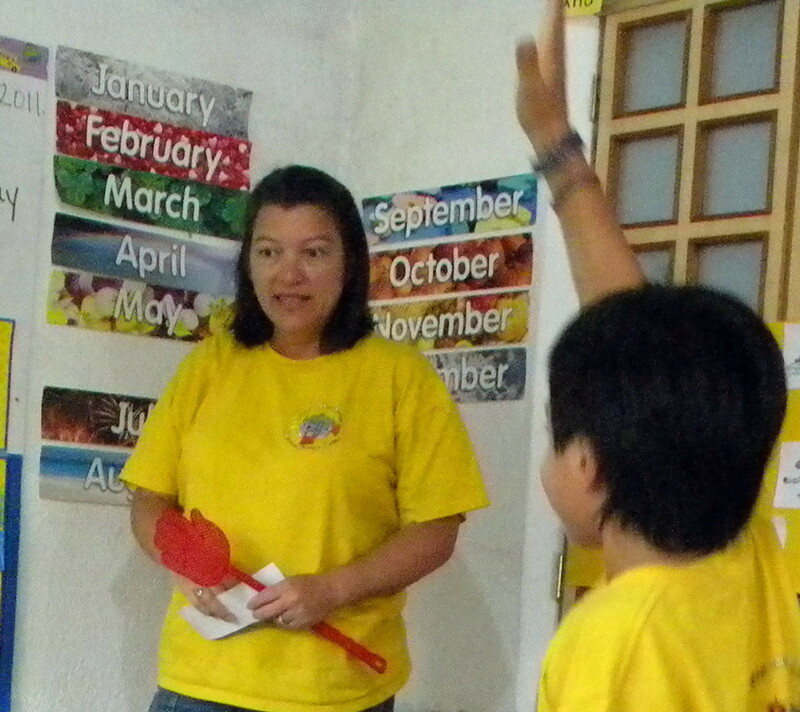 Dina Salpor (Contract Translator & Assistant) came on board by the end of our five week program at PanaKids. Dina is 18, extremely bright and a natural teacher. She was a perfect fit in helping us communicate effectively to the youngest Kids Share group. Her compassion, patience and excellent command of the young children made our program much more successful. Dina often brought her younger sister Vivi who also assisted. One evening she invited us to join her family in the Procession of Saints. This enriching cultural experience gave us a better appreciation of the Mayan culture. 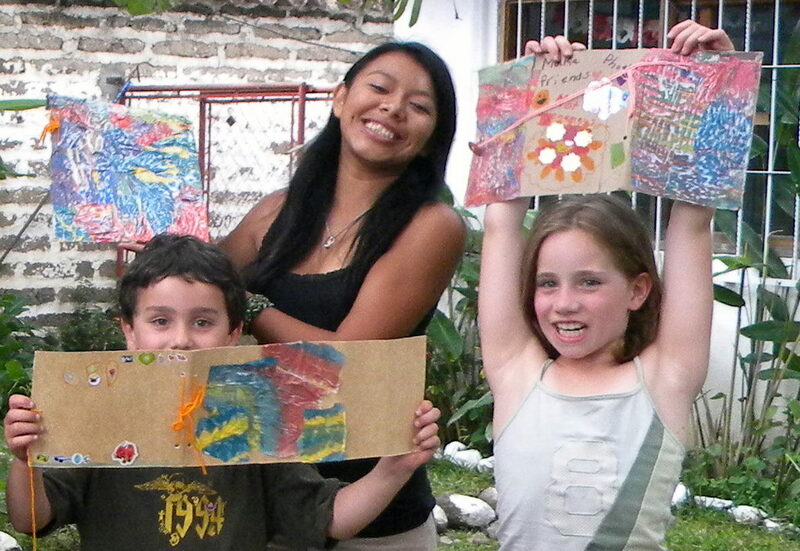 Dina graduated from a bilingual school, Life School in Panajachel where Vivi is currently enrolled. We hope to have the opportunity to work with Dina when we return to Guatemala. We are eternally grateful for her assistance and guidance! Christina Hussain (Volunteer Translator & Assistant) came to Panajachel looking for part time volunteer work, especially with younger kids. She contacted the PanaKids school and they suggested our program. Christina became excited to assist us and started volunteering by the second week. Her connections with the kids were wonderful and enjoyed participating in the activities. Unfortunately, she became ill and was not able to volunteer for very long. However, we were very appreciative of her volunteer time she did give. 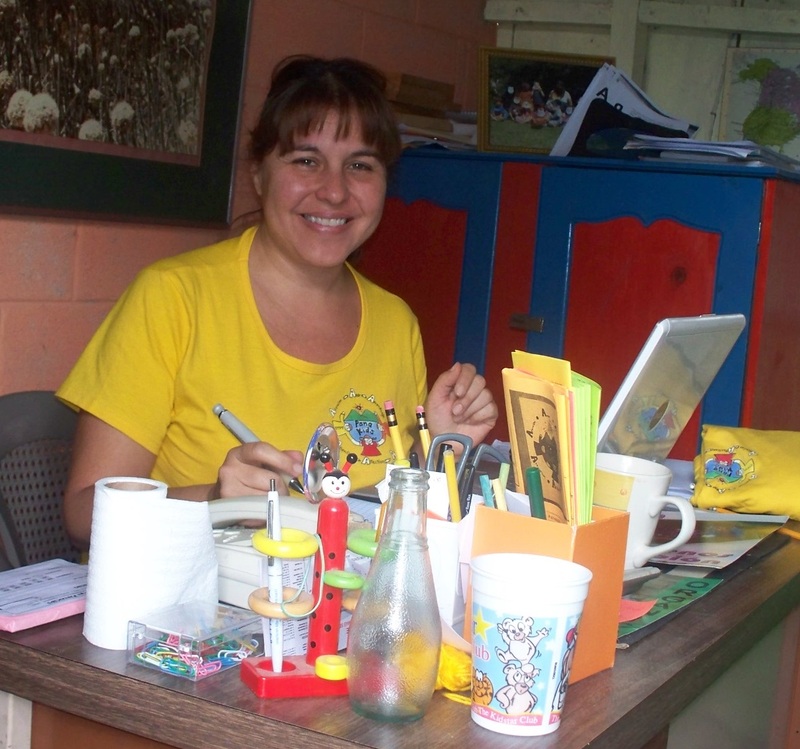 She was at the end of a long journey volunteering in Latin America and was looking forward to return to the states where she could recover from her illness with the support of family. Alison Kelly (PanaKids Teacher) is the English director for Panakids. She helped facilitated our stay and connected us with volunteer, Christina Hussian. We are appreciative for her finding a good apartment for us to rent; introducing us to community friends, organizing the kids for us to teach and showing us beautiful communities around the lake and assisting in material translations. Alison coordinated a very successful fundraiser for the Panakids school in California. Kristina; founder supported the Panakids big fundraiser by donating her Quetzal illustration for their promotional postcards, donated Jerry Garcia posters and helped to build a computer lab at the school with donated computers from Green Mountain Coffee Roasters, which she arranged to have their employees bring from Vermont to Guatemala. Panakids was also granted temporary tax exemption for their fundraiser from Partners of the Americas-Vermont chapter. Astrid Rodas (PanaKids Director) informed parents of our up coming workshop and encouraged them to have their children attend our after school program. We are very appreciative Astrid welcomed us to her wonderful bilingual school! *A special Thanks to Julio Esturado & Jeannette Oliveros Parajon C. owners of Posada De Los Volcanes, for their snacks and transportation of all the Kids Share Workshops kids to the Butterfly Pavilion and Nature Reserve in Panajachel! Their daughter Julieta never missed a workshop! Jeanne Ross Atchinson (Volunteer Program Director) volunteered in Guatemala for five weeks with her six year old daughter Jamie. Jeanne worked hard assisting with the program; especially with the weekly blog postings, which meant going through many photographs and assisting with journaling the weeks program. 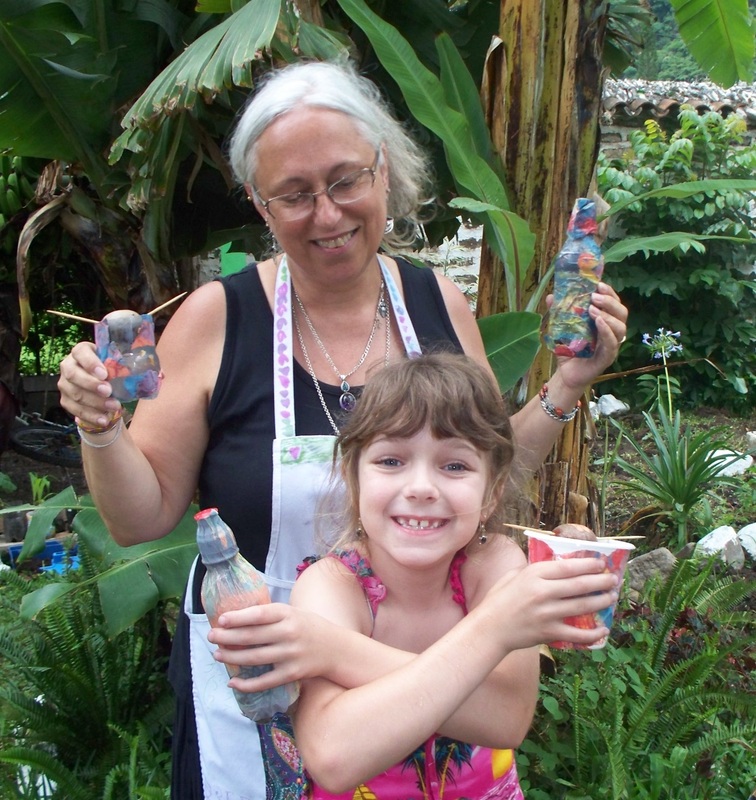 The experience she and her daughter had with the Mayan people was positive and enriching. The market where she and Kristina bought fresh food weekly was one of her favorite places to visit. The amazing fresh produce, spices, meats and grains made cooking at home an adventure!